Canvas @ YaleInstructor Guides Media LibraryHow do I create a video assignment? 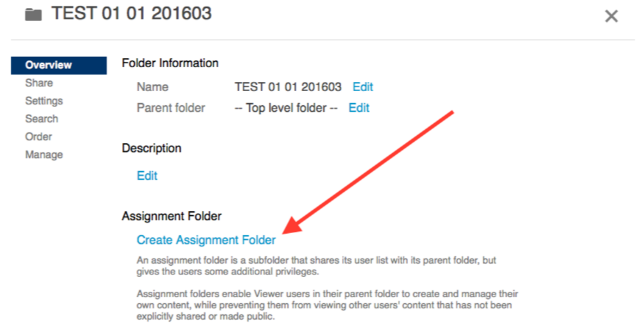 To create a folder students can upload to, you need to create an “assignment folder.” Click on the settings icon in the Media Library. Once clicked a new folder will be created within the current folder and students will have the ability to upload media. By default, students will not be able see each others media. This can be changed in the setting tab of the assignment folder. Prev: How do I add media files to the media library? Next: How can I share a video?